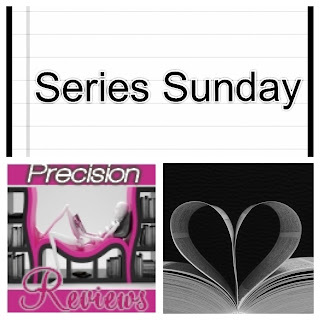 My Series Sunday pick is For Your Love, the sixth book in the Blessings series by Beverly Jenkins. Ever since millionaire Bernadine Brown bought the small town of Henry Adams, Kansas, off of eBay, it has rained blessings. The Dog diner has been remodeled. The adopted children are settled in with their new families. Love and happiness is in the air. Mayor Trent July and his wife Lily are newlyweds adjusting to their blended family of two adopted sons, Devon and Amari. Devon was the young town preacher but now he is having difficulty just being a kid. Amari is no longer the pint-sized car thief; he has grown into a smart young man. Fatherhood suddenly has Mayor Trent wondering about his own biological mother. No good comes from dwelling in the past but when the past comes to visit, Mayor Trent has to face it with support of his strong community and loving family. Newcomers to Henry Adams, Bobby and Kiki, are used to struggling living paycheck-to-paycheck. They are overwhelmed with the blessings rained upon them when they move. Crazy-as-a-bedbug mayor of Franklin is still crazy-as-a-bedbug times ten. And forty-five-year-old secrets are revealed. So much happens in this 200-page novel. Before I delve any further into my review, let's take a moment and marvel at the book cover. Isn't it gorg?! It makes me think of home and family. Although I read the galley edition, I am certain this book cover will draw my attention when it hits the shelves of a local bookstore on April 28, 2015. 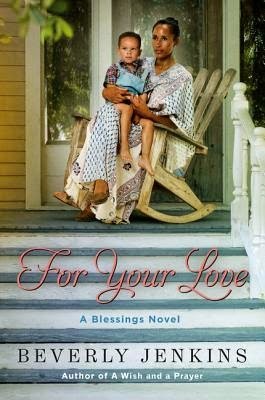 For Your Love is a Blessings novel. Please don't let the series title lead you away. It is not devout Christian fiction. There are no long passages of scripture or Bible-thumping characters. I consider it comfort fiction. A great book to take your mind off reality and real-life distractions. Reading about blessings on blessings on blessings will comfort you. I know I say this every single time I review a novel by Beverly Jenkins, but I am saying it again. I HEART HER! Seriously, I stan for Beverly Jenkins and hope all of my bookhearts have the pleasure of meeting her in person. She is so very kind and knows how to write a feel-good story with characters that feel like your favorite aunts and uncles. I am a resident of Henry Adams in-my-head. I recommend this series so you can be my fictional neighbor. I LOVE Beverly Jenkins and I love her blessings series. Though I do need to catch up on the latest two or three books in this series. I even got my Mom reading them. They are so cozy and comfortable. Kinda cheesy. But I always know what I'm going to get and will pick up this series when I'm in the mood for a feel good story with a bit of drama and shenanigans thrown in. And I'm jealous that you got to meet her. Her historicals and contemporaries are great too! Great you have your mom reading the Blessings series too. Yes, Jade, do catch up. Perfect cozy reads. I was not a fan of historical fiction until I read Beverly Jenkins.